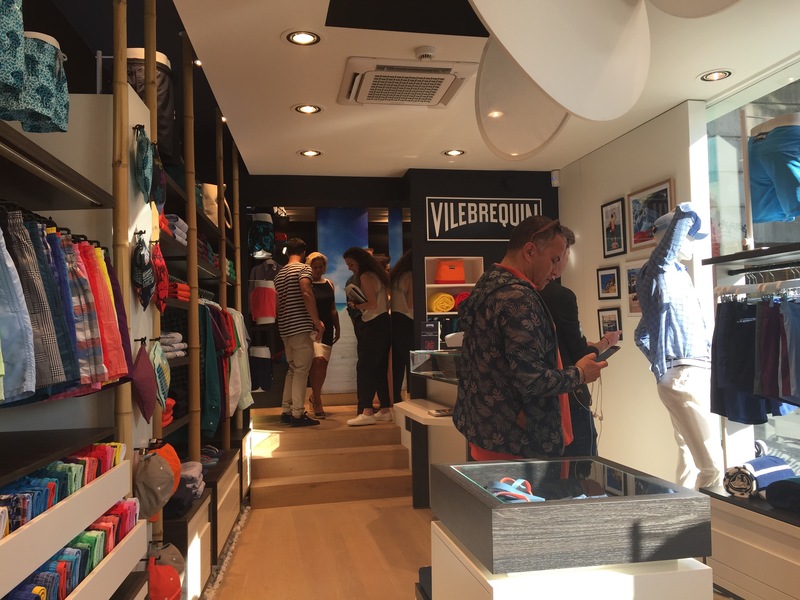 A couple days ago french swimwear brand Filebrequin opened their 3th monobrandstore in Belgium, after Antwerp and Knokke. The opening was very “Saint-Tropez”, with a huge billboard and a old cabriolet car , a beach hut and lots of foods and drinks. The store is located on the Avenue Toison D’or, one of the most important and luxurious shopping streets in Brussels. Beachlovers can find swimwear in all kind of colors and prints. The shop is not that very big, but you can find all your essentials for that perfect lazy day at the beach. I really love those colorful shorts and t-shirts, now i realize summer is really around the corner. I really can’t wait to rock those shorts at the beach ! Posted in HOME and tagged beach, blogger, events, fashionstyle, fashionwear, france, guyswithstyle, igers, love, mensfashion, menswear, opening, saintropez, shorts, sophiecarrée, style, Summer, swimwear, vilebrequin. Bookmark the permalink.